jojotastic - Jojotastic x Madewell — you're invited! 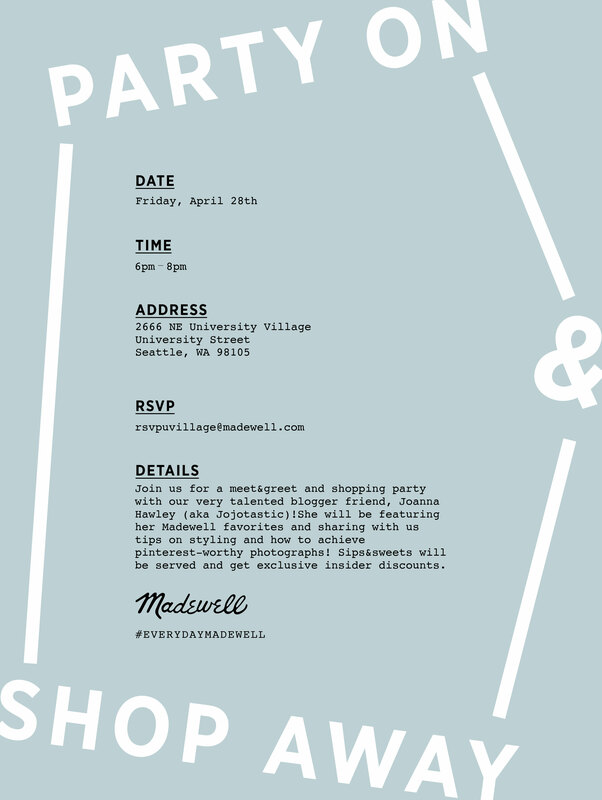 Jojotastic x Madewell — you’re invited! Calling all Seattle readers! I’m hosting a really fun shopping event with our local Madewell at University Village this Friday and I’d love to meet you. I’ll be sharing styling tips + droppin’ some Pinterest knowledge, so be sure to stop by.